Episode 224: Danilo Kis, A Tomb for Boris Davidovich | Book Fight! 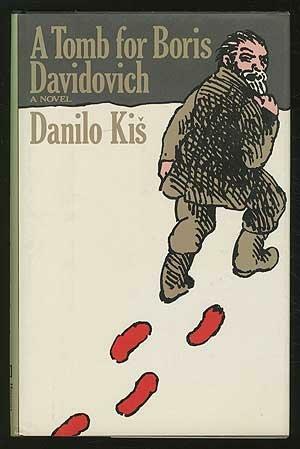 This week we’re talking about another literary scandal–the case of Danilo Kis’s A Tomb for Boris Davidovich, for which he was accused of plagiarism, though it eventually became clear there were simply some people who were out to discredit him, however they could. In the second half of the show, we talk about another literary plagiarism scandal–this one involving Martin Amis and a successful TV writer. We also eat a new Pop Tart flavor–or at least it’s new to us. Categories: Episodes, Spring of Scandal | Tags: Barrelhouse magazine, book podcast, literary anti-semitism, literary scandals, plagiarism scandals in literature, podcasts about contemporary literature | Permalink.